CURRENTLY READING Greatist Turns Three Today and It's All Because of You! I grew up a big, big kid, drinking six (six!) Dr. Peppers a day. When I realized it was time to start making health a priority, I found myself more lost than ever, struggling to find a brand I could trust that spoke to me in a way that made sense. I tried things I’d seen a celebrity share on TV, workouts I’d heard a trainer suggest at the gym, and diets I’d found searching online. Ultimately they didn't "work," and, what's worse, it seemed like they kept trying to define what "healthy" should look like for me instead of letting me define what "healthy" meant for myself. All I wanted was a brand, a site, a company to turn to that could touch and inspire me. As I struggled with different diets, workout plans, and other silly strategies, it blew my mind that there wasn't a bright light in this space shining the way to the support, accountability, and guidance I really needed. All I wanted was a brand that offered the support, accountability, and guidance I really needed. So three years ago, I started Greatist. And it’s been a wild ride. I’ve done some crazy things in that timespan, including get six-pack abs in six weeks (spoiler alert: it sucked), build a company that now employs 20 inspiring people and friends, and reach more than 50 million different people. Unbelievable, right? Most importantly, we've reached those people the same way I wanted to be reached way back when, reminding people that it's not about being "the greatest" all the time, because being "a greatist" and making healthier choices some of the time is the only way to truly build life-long healthy habits. Bringing this message to the world is my personal mission—and making good on that mission is Greatist's vision as a company. Ultimately we're working to change the way the world thinks about “healthy,” helping everyone become a greatist and think about health in this healthier way. I think we're well on the way... but I also know we can't do it alone. We're working to change the way the world thinks about “healthy,” helping everyone become a greatist and think about health in this healthier way. We're well on the way... but I also know we can't do it alone. We’ve grown fast because of you. Because you want something different. Because you're tired of seeing another "miracle fat-loss cure" endorsed on TV. Because you're tired of cover models looking like no one you've ever met. Because you're tired of reading the millionth sensationalized article on a new study that doesn't matter. We hear it every day from you. We hear you express your feelings about what Greatist means to you in a more powerful, personal way than any health brand I've ever seen. We even have a big "LOVE" pinboard at Greatist HQ where we post every tweet, email, and kind word you write. It's for us to celebrate and remember how much this has always been about you. About building a brand that's actually on your side. About building a company that you can actually love. So this week, we want to celebrate our third birthday by thanking you. If it were just me who wanted this all along, Greatist wouldn’t have gotten very far. Instead, you decided you loved what we were writing and the way we were writing it so much that it needed to be shared with others. Unlike most sites on the Internet, and definitely most sites in this space, Greatist has grown primarily through social media. That's what makes our story special, and that's why we've got you to thank! The more you share, the more people hear our message and share it with their friends in return. The more this happens, the more we're able to bring our message of how important being a greatist really is. And the more we bring that message, the bigger impact we can make on the world. 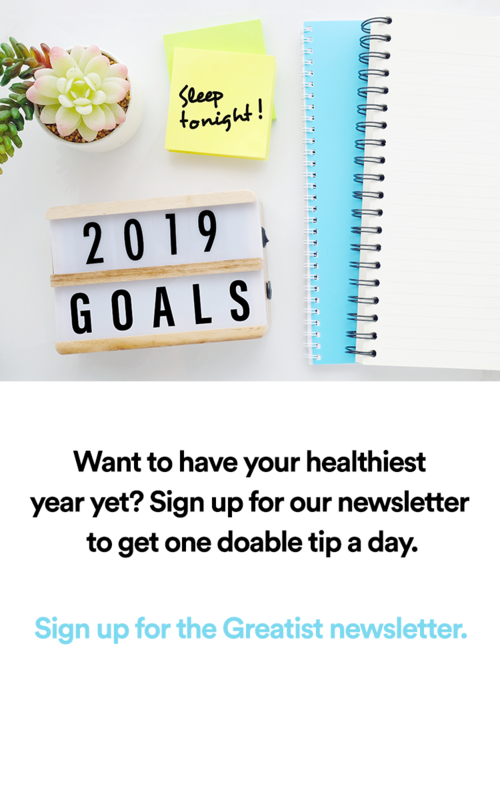 We work every day at Greatist to create the most awesome health content, then put it in your hands so that together, we can make that big, important difference. 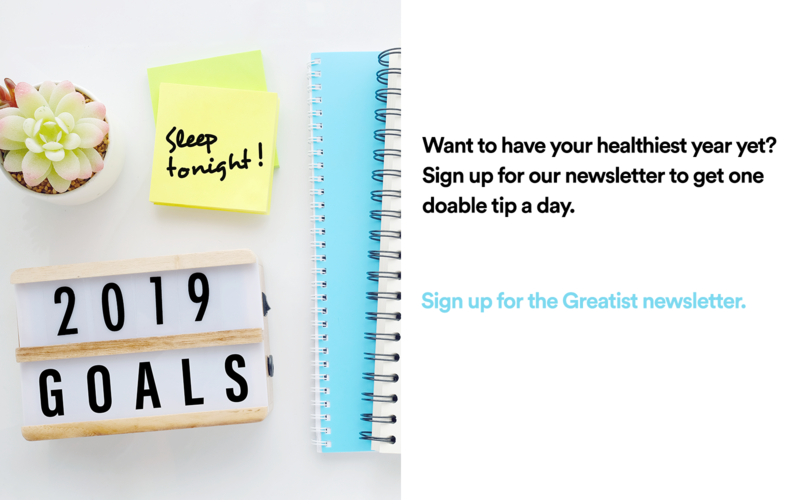 We work every day at Greatist to create the most awesome health content, then put it in your hands so that together, we can make that big, important difference. Changing the way the world thinks about "healthy" is really in your hands, not ours. You decide whether to pass it on. Today, we reach more than four million people every month, but there are so many more that could hear our message. So tomorrow, don't forget to help us get it to them. Thanks for an incredible three years—and here's to oh-so-many more.